On January 11, 2016 the Pay Transparency Final Rule amending E.O. 11246 went into effect prohibiting federal subcontractors and contractors from disciplining or discharging employees or applicants for discussing, disclosing or inquiring about their pay or that of other employees or applicants. An exemption exists for applicants and employees who make the disclosure based on information obtained in the course of performing their essential job functions. Contractors modifying or entering into a new contract on or after January 11, 2016 are covered. Since it is over six months since the Pay Transparency Rules went into effect, I’ve been wondering about the communication and implementation strategies undertaken by government contractors. Even though there is no requirement in the Rule to conduct training, it is a proactive approach to ensuring that your management team understands the nuances of the Rule. If you have conducted management training covering the new Pay Transparency Rules, you have probably experienced what I have noticed in my presentations. Since I love those tough managers, always questioning and challenging, I knew that training on the topic of pay transparency would be fun! As soon as I communicate what managers cannot do to applicants and employees who talk about their compensation, I notice that the managers’ initial reaction of shock slowly turns to anger. As we delve deeper into the definitions of compensation and compensation information, horror prevails and the accusations that the government is interfering in the way that contractors operate enter into the mix. These reactions may appear to be extreme but this is what I have experienced. For these reasons, I would like to share the following tips for training managers with the goal of demystifying the negative reactions of the Pay Transparency Rule. What is Important to Convey to Managers? What is acceptable to discuss? All employees and applicants are permitted, but not required, to talk about their compensation or compensation offered to them. Sharing compensation information is a voluntary and personal decision. Communicating this information to managers tends to diffuse some of the anger and initial misunderstanding of the Rule. Who is not permitted to talk about pay? The function or duties of the position include protecting and maintaining the privacy of employee personnel records, including compensation information. …identifying who can and cannot talk about pay also depends on how they obtained the pay information. Even though the above definition may appear clear, identifying who can and cannot talk about pay also depends on how they obtained the pay information. Needless to say, determining who and what a person can share is not as easy as it seems. An employee holding the position of a human resources manager or a payroll specialist may appear to meet this definition, but not all employees in these positions have access to applicant and employee compensation information. Employees with these essential job functions cannot share pay information of others if they learned about the pay through their essential job functions. However, they are permitted to discuss their own compensation or discuss disparities involving other employees’ pay with a management official or other pay information if they learned about it outside their essential job functions. They may also share compensation information while using the company’s internal complaint process or when responding to a formal complaint or charge, investigation, proceeding, hearing or action. 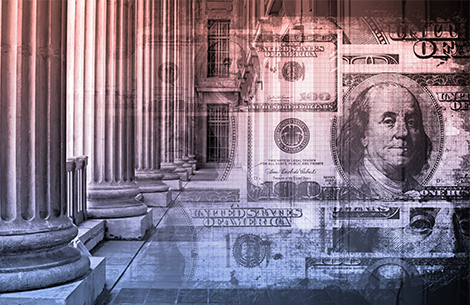 According to the OFCCP, the essential job function of having access to the base pay data does not have to be defined in the job description; however, it would not be a bad idea to do so. Sally, an administrative assistant, retrieves a misplaced item from a trash can and also pulls out a performance appraisal and increase amount for a co-worker, Mark, a data entry clerk. Sally tells her other co-workers about Mark’s appraisal and increase. Can you discipline Sally for sharing this information? No, it doesn’t matter how Sally discovered the information. Since she does not have the essential job function, she has the right to share the information. Can you discipline the person who left the appraisal in the trash can? That depends on who left it. If it was someone who had access to the information as their essential job function, then they can be disciplined, regardless of whether they put it there intentionally or unintentionally. In that case, the pay secrecy rule would not prevent the contractor from taking action against the individual in accordance with whatever standards it imposes on its employees who are entrusted with maintaining pay or other employee data in a confidential way. Peter, an IT professional, has a weekly task that he ensures the personnel data, including individualized pay data, hasn’t been hacked. One week, he’s running his security check and he notices that (Sally) made less than (Ted). And later, he tells (Sally) of the disparity. Can the contractor discipline Peter? Yes, because Peter requires access to compensation information in order to perform one of his job functions, which is making sure that individualized pay data isn’t hacked. Additionally, Peter is responsible for protecting and maintaining the privacy of employee personnel records. So because his job functions meet the definition of essential job functions under the Rule, he would not be protected in revealing compensation information that he obtained through those job functions to someone who also didn’t have access to the information. What is Important for Managers to Hear and Understand? This Rule may appear to be new; however, in Section 7 of the National Labor Relations Act (NLRA) of 1935, non-supervisory union and non-union employees are already allowed to talk about their salaries at work and employers are prohibited from imposing “pay secrecy” policies whether or not they do business with the federal government. The Pay Transparency Rule takes it a step further and extends protections to supervisors, managers, agricultural workers and employees of rail and air carriers. Many companies have had a long tradition of keeping compensation secret. The Department of Labor Women’s Bureau disseminated a fact sheet on pay secrecy which stated “...nearly half of all workers nationally reported that they were either contractually forbidden or strongly discouraged from discussing their pay with their colleagues...” The Final Rule requires the elimination of both formal and informal pay secrecy policies. What is different about the two laws? The penalties for failing to abide by the Pay Transparency Rule are much more serious than violating the NLRA. The risk of losing government contracts is more motivation than having to pay back pay to wrongfully terminated employees and to offer former employees their old jobs back. Even though the NLRA remedies are adequate, most employees were not aware of their rights under that law. Because of this, gag rule and pay secrecy policies have been able to flourish. Also, most employees were not aware of the NLRA and were following their employer’s request not to share compensation information. That is why one of the required components of the Pay Transparency Rule is that of communication to applicants and employees. Since understanding the Pay Transparency Rule is critical to ensure that your managers are aware of the rights of their employees and do not create discriminatory outcomes, we suggest that you design your training using as many examples as possible. Here are a few questions for discussion in an interactive presentation. If during the interview process an applicant asks an employee about their pay and the employee shares what they were paid upon hire and what they currently are paid, is it okay if the applicant uses that information during the salary negotiation process? Yes, and you cannot retaliate against the candidate for having that information and using it to their advantage. You also cannot discipline the employee for sharing this information. Is it okay for the HR Manager to share his own compensation package with his colleagues? Yes, but he cannot share compensation information about other employees if compensation is an essential job function. If an employee with compensation as an essential job function shares compensation data with a co-worker who then shares it with another co-worker, can you discipline any of these employees? Only the person with the essential job function can be disciplined. Even if the information is communicated improperly, once it is out, you cannot discipline employees for spreading the information. There is nothing clear cut about the Pay Transparency Rule and therefore, opening up the discussion and providing training scenarios will help clarify what can be discussed and by whom. This is particularly important if the Rule changes your internal procedures regarding compensation communications.